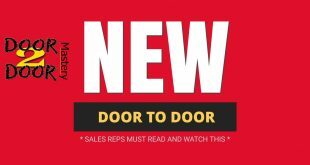 Home » Blog Posts » New door to door sales reps fall off quick. Here is why! New door to door sales reps fall off quick. Here is why! 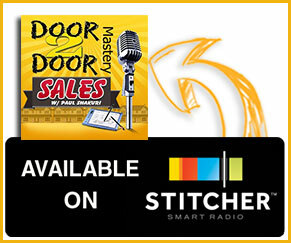 What is happening door to door mastery fans!? Are you a brand new door to door sales person? Are you new to the door to door industry? Are you a manager? Perhaps you own your own business or you have it in the back of your mind that you want to grow your own business! 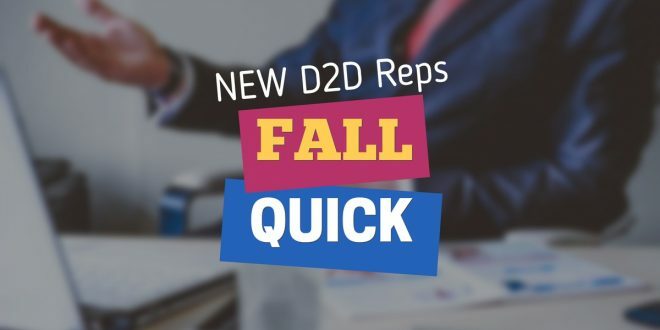 Well, regardless of where your coming from this post is going to outline key points on why and how new door to door sales representatives fall off quick. The one on one interviews are designed where you set up a time and date where the interview will take place. The pro of this form of interview is that you can sit down and dive deep with the individual. The second phase is known as the “group interview.” The benefits of this form of interview is that you can have a variety of candidates to select for a position, you are able to see a wide range of personalities, and you are able to see who is committed to the position they are applying for. I can tell you from the many interviews I have done you will get a variety of personalities that you will see during the interview. You may get that person whose super excited, that individual who is a sales person at the mall, or that stud who came from another company. 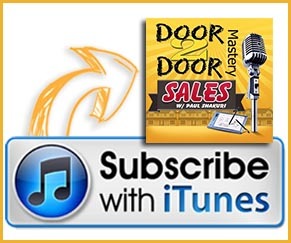 Many people can master door to door sales and be successful at it. However, there are many people that believe they can do it but quit after the first five minutes or day of going out there. Sometimes they may even quit during a training session where you send them out there in the van with your team and they are no where to be found when you go to pick them up! Here are a few tips and insights for your interview process that will ensure all candidates will succeed in sales and it will give you an insight on why candidates may fall off. 1. Complete a three-day training session! Here’s why! • The individual can come into hear about what your company has to offer. • It gives them the option on whether or not they want to return for the second session or third. 2. If there falling off on day number two, its one of two problems. You got them excited to come in but you didn’t get them excited for the training sessions. Now you do not have too much control if the person doesn’t show up to the first training session but if they show up the first time, they have to at least sell about ten accounts before they leave your training session. How do you do that? Excitement! You have to get excited about your product, your services and your brand. And when I refer to selling them in I’m not referring to lies, or cheating. For those who have ever done telemarketing or door to door sales. You can relate to the notion of buttering up your customers, well you have to give your new sales reps attention every time. You must treat them like they are a part of your family working towards the exact same purpose. A personal cause which in turn creates a team cause or purpose. 3. Start off with a smaller amount per sale and then increase! Take this analogy, if you start off doing five push ups and you do it everyday you will continue to grow and the push ups will become easier and you will add more every time. This is similar to the company, you start small in sales and as you learn about the company you begin to grow and your sales grow. 4. People leave because they don’t care of what you have to offer. Lack of commitment and loss of excitement arise when people leave. Bottom Line! Get away from the fear that you have! Don’t let your fear overpower you! We can all communicate, the question is, are you committed and are you ready to allow the fear to go away? Once you eliminate that fear you will learn more about sales and door to door sales. On this post you will see a link for on the right hand side of this page to my free video course. I teach you everything from opener pitch to how to communicate. Its free. I also have a paid door to door mastery program that is only available when open to the public. I created a ton of content for you for free. As part of my business we are able to grow this program that allows others to grow in sales. Remember DON’T be that person who quits! Grow your company by taking care of your workers as if they are family!